Warrior project update! I have been working on her over the Christmas break but I've not been any good at keeping my blog up to date over this period. I took it into Zbrush very early. I felt that would work out better since I'd have to retopologise her anyway, so why faff around in Max when you can get the same result in Zbrush much faster and more intuitively? 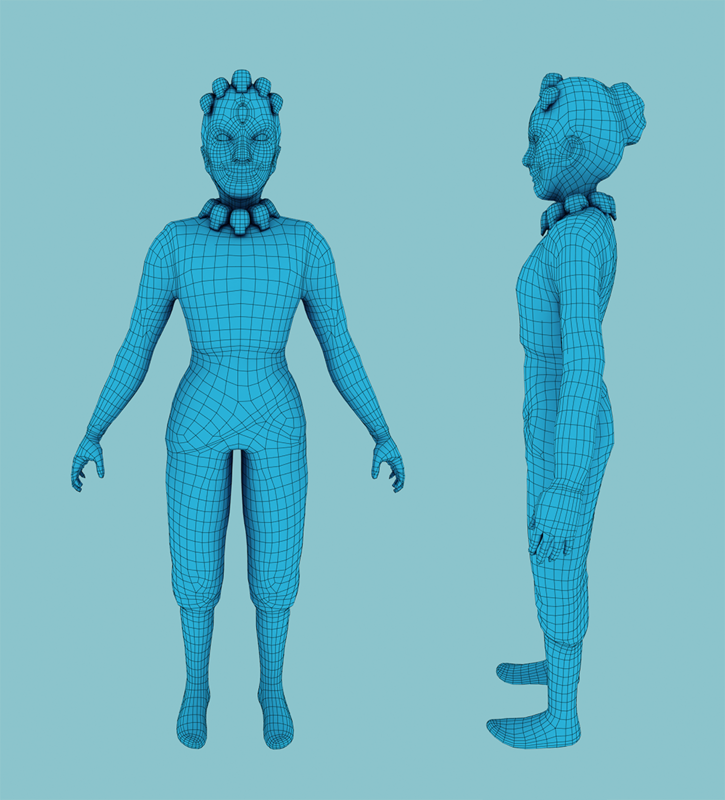 Here's a progress gif, it doesn't have my earliest iterations of her as I didn't save them, but I started out with a very blocky 3Ds Max mesh before taking her in, feeling it was easier if I had her basic mass down before tweaking the shape in Zbrush. I didn't bother with making the hands in Zbrush, I think those are easier to make in 3Ds Max so I left that for later. Here's the final retopologised mesh. I tested out Zbrush's Zremesher tool for this. It takes away some of the drudgery but to say that it does all the work for you is a fat lie. Or maybe I am doing it wrong, I dunno. I exported three different Zremeshes for different parts of her, and stitched them together in Max. I had to redo her face topology completely as Zremesher couldn't give me a satisfying result in that area. I think Zremesher is probably best for organic objects that won't move. I'm texturing today, I'm having some problems baking down maps to an object with two different map channels so I'll probably have to find a way around it.